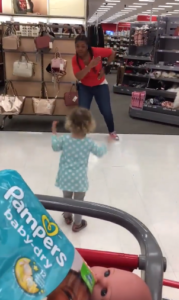 Target Employee Sees Toddler On Verge Of Tantrum & Steps In To Help Mom. Every mom knows that grocery shopping with an unruly toddler is frustrating at best and disastrous at worst. 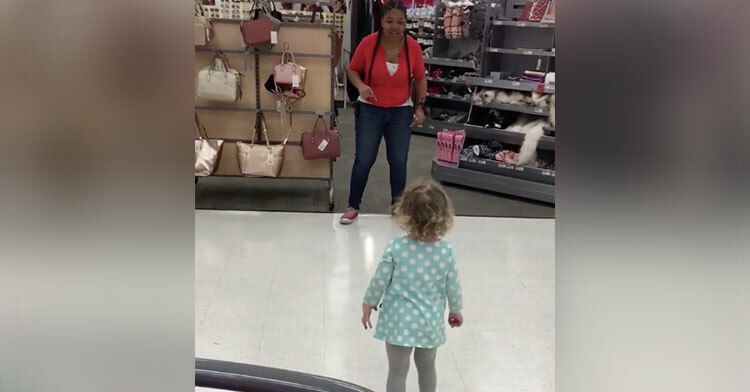 Unfortunately for California mom Stefanie Bradbard Elliott, a recent trip to Target was beginning to feel like the latter as her daughter refused to listen and had to be dragged through the store. But just as the energetic 2-year-old, Evallyn, neared the beginning stages of an epic meltdown, this wonderful employee swooped in. 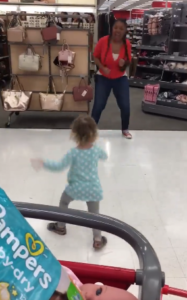 A clerk named AJ noticed the rowdy little girl and found the perfect way to keep her occupied while her mom checked out. 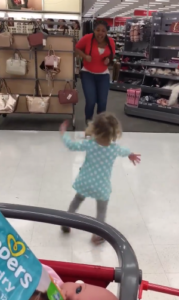 “The employee asked if she was a ballerina and could show her how to dance. My daughter said yes, and said, ‘do it like this,’ then they both started twirling and dancing together. There wasn’t even any music playing but they were having a blast,” Stefanie said. 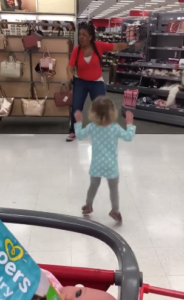 Thus began the cutest impromptu dance party to ever happen inside a store. 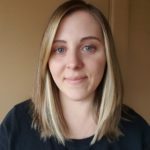 After getting things sorted on her end, Stefanie recorded the adorable encounter and posted the footage online, describing how grateful she was for the much-needed distraction. It is hard to explain how much it means when you are just out of patience and someone steps in and does something to ease the tension, even if just to give a 5-minute break. I shared the video because I figured a lot of parents could relate and wanted this employee to know she’s appreciated. Other parents chimed in, praising AJ for going above and beyond her job description for a mom in need: “Woohoo! Someone who recognizes the all-too-common child tantrum/just plain overloaded child/run dry mama and steps in, is an angel in disguise. Moms all over appreciate it,” one woman wrote. Raising children is no simple feat, but if we all stepped up like this to help struggling parents out, it would be much easier. 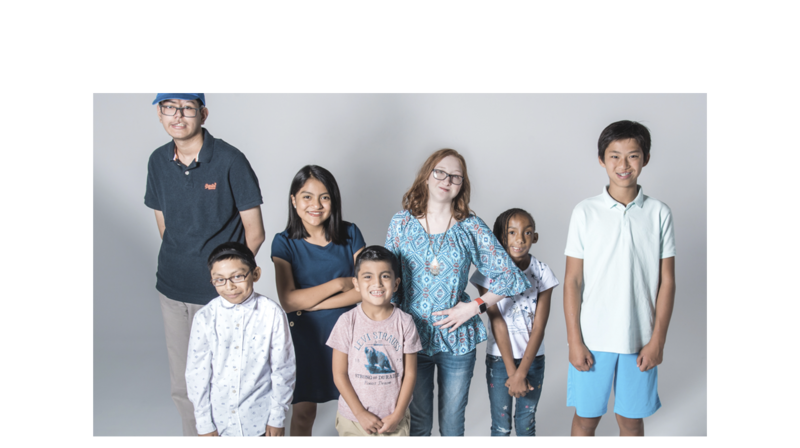 Watch as AJ and Evallyn tear it up in the clip below, and share with other moms who’d appreciate the gesture as well.